It was my great honor to place his name in nomination at the 1956 Democratic Convention, and I am delighted to have his support and his counsel and his advice in the coming months ahead. With a deep sense of duty and high resolve, I accept your nomination. I accept it with a full and grateful heart–without reservation–and with only one obligation–the obligation to devote every effort of body, mind and spirit to lead our Party back to victory and our Nation back to greatness. I am grateful, too, that you have provided me with such an eloquent statement of our Party’s platform. Pledges which are made so eloquently are made to be kept. “The Rights of Man”–the civil and economic rights essential to the human dignity of all men–are indeed our goal and our first principles. This is a Platform on which I can run with enthusiasm and conviction. And I am grateful, finally, that I can rely in the coming months on so many others–on a distinguished running-mate who brings unity to our ticket and strength to our Platform, Lyndon Johnson–on one of the most articulate statesmen of our time, Adlai Stevenson–on a great spokesman for our needs as a Nation and a people, Stuart Symington–and on that fighting campaigner whose support I welcome, President Harry S. Truman– on my traveling companion in Wisconsin and West Virginia, Senator Hubert Humphrey. On Paul Butler, our devoted and courageous Chairman. I am fully aware of the fact that the Democratic Party, by nominating someone of my faith, has taken on what many regard as a new and hazardous risk–new, at least since 1928. But I look at it this way: the Democratic Party has once again placed its confidence in the American people, and in their ability to render a free, fair judgment. 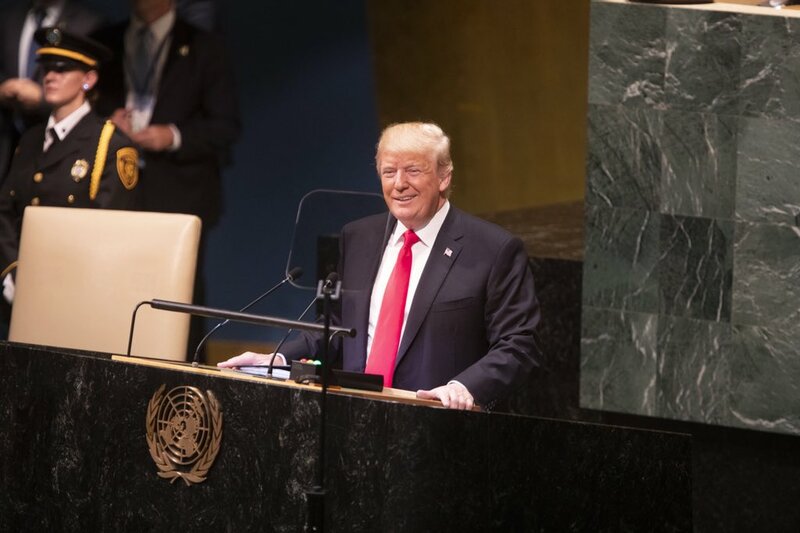 And you have, at the same time, placed your confidence in me, and in my ability to render a free, fair judgment–to uphold the Constitution and my oath of office–and to reject any kind of religious pressure or obligation that might directly or indirectly interfere with my conduct of the Presidency in the national interest. My record of fourteen years supporting public education–supporting complete separation of church and state–and resisting pressure from any source on any issue should be clear by now to everyone. I hope that no American, considering the really critical issues facing this country, will waste his franchise by voting either for me or against me solely on account of my religious affiliation. It is not relevant. I want to stress, what some other political or religious leader may have said on this subject. It is not relevant what abuses may have existed in other countries or in other times. It is not relevant what pressures, if any, might conceivably be brought to bear on me. I am telling you now what you are entitled to know: that my decisions on any public policy will be my own–as an American, a Democrat and a free man. Under any circumstances, however, the victory we seek in November will not be easy. We all know that in our hearts. We recognize the power of the forces that will be aligned against us. We know they will invoke the name of Abraham Lincoln on behalf of their candidate–despite the fact that the political career of their candidate has often seemed to show charity toward none and malice for all. We know that it will not be easy to campaign against a man who has spoken or voted on every known side of every known issue. Mr. Nixon may feel it is his turn now, after the New Deal and the Fair Deal–but before he deals, someone had better cut the cards. That “someone” may be the millions of Americans who voted for President Eisenhower but balk at his would be, self-appointed successor. For just as historians tell us that Richard I was not fit to fill the shoes of bold Henry II–and that Richard Cromwell was not fit to wear the mantle of his uncle–they might add in future years that Richard Nixon did not measure to the footsteps of Dwight D. Eisenhower. Perhaps he could carry on the party policies–the policies of Nixon, Benson, Dirksen and Goldwater. But this Nation cannot afford such a luxury. Perhaps we could better afford a Coolidge following Harding. And perhaps we could afford a Pierce following Fillmore. But after Buchanan this nation needed a Lincoln–after Taft we needed a Wilson–after Hoover we needed Franklin Roosevelt. . . . And after eight years of drugged and fitful sleep, this nation needs strong, creative Democratic leadership in the White House. But we are not merely running against Mr. Nixon. Our task is not merely one of itemizing Republican failures. Nor is that wholly necessary. For the families forced from the farm will know how to vote without our telling them. The unemployed miners and textile workers will know how to vote. The old people without medical care–the families without a decent home–the parents of children without adequate food or schools–they all know that it’s time for a change. But I think the American people expect more from us than cries of indignation and attack. The times are too grave, the challenge too urgent, and the stakes too high–to permit the customary passions of political debate. We are not here to curse the darkness, but to light the candle that can guide us through that darkness to a safe and sane future. As Winston Churchill said on taking office some twenty years ago: if we open a quarrel between the present and the past, we shall be in danger of losing the future. Today our concern must be with that future. For the world is changing. The old era is ending. The old ways will not do. Abroad, the balance of power is shifting. There are new and more terrible weapons–new and uncertain nations–new pressures of population and deprivation. One-third of the world, it has been said, may be free–but one-third is the victim of cruel repression–and the other one- third is rocked by the pangs of poverty, hunger and envy. More energy is released by the awakening of these new nations than by the fission of the atom itself. Meanwhile, Communist influence has penetrated further into Asia, stood astride the Middle East and now festers some ninety miles off the coast of Florida. Friends have slipped into neutrality–and neutrals into hostility. As our keynoter reminded us, the President who began his career by going to Korea ends it by staying away from Japan. The world has been close to war before–but now man, who has survived all previous threats to his existence, has taken into his mortal hands the power to exterminate the entire species some seven times over. Here at home, the changing face of the future is equally revolutionary. The New Deal and the Fair Deal were bold measures for their generations–but this is a new generation. A technological revolution on the farm has led to an output explosion–but we have not yet learned to harness that explosion usefully, while protecting our farmers’ right to full parity income. An urban population explosion has overcrowded our schools, cluttered up our suburbs, and increased the squalor of our slums. A peaceful revolution for human rights–demanding an end to racial discrimination in all parts of our community life–has strained at the leashes imposed by timid executive leadership. There has also been a change–a slippage–in our intellectual and moral strength. Seven lean years of drouth and famine have withered a field of ideas. Blight has descended on our regulatory agencies–and a dry rot, beginning in Washington, is seeping into every corner of America–in the payola mentality, the expense account way of life, the confusion between what is legal and what is right. Too many Americans have lost their way, their will and their sense of historic purpose. It is a time, in short, for a new generation of leadership–new men to cope with new problems and new opportunities. All over the world, particularly in the newer nations, young men are coming to power–men who are not bound by the traditions of the past–men who are not blinded by the old fears and hates and rivalries–young men who can cast off the old slogans and delusions and suspicions. The Republican nominee-to-be, of course, is also a young man. But his approach is as old as McKinley. His party is the party of the past. His speeches are generalities from Poor Richard’s Almanac. Their platform, made up of left-over Democratic planks, has the courage of our old convictions. Their pledge is a pledge to the status quo–and today there can be no status quo. For I stand tonight facing west on what was once the last frontier. From the lands that stretch three thousand miles behind me, the pioneers of old gave up their safety, their comfort and sometimes their lives to build a new world here in the West. They were not the captives of their own doubts, the prisoners of their own price tags. Their motto was not “every man for himself” –but “all for the common cause.” They were determined to make that new world strong and free, to overcome its hazards and its hardships, to conquer the enemies that threatened from without and within. Today some would say that those struggles are all over–that all the horizons have been explored–that all the battles have been won– that there is no longer an American frontier. But I trust that no one in this vast assemblage will agree with those sentiments. For the problems are not all solved and the battles are not all won–and we stand today on the edge of a New Frontier–the frontier of the 1960’s–a frontier of unknown opportunities and perils– a frontier of unfulfilled hopes and threats. Woodrow Wilson’s New Freedom promised our nation a new political and economic framework. Franklin Roosevelt’s New Deal promised security and succor to those in need. But the New Frontier of which I speak is not a set of promises–it is a set of challenges. It sums up not what I intend to offer the American people, but what I intend to ask of them. It appeals to their pride, not to their pocketbook–it holds out the promise of more sacrifice instead of more security. But I tell you the New Frontier is here, whether we seek it or not. Beyond that frontier are the uncharted areas of science and space, unsolved problems of peace and war, unconquered pockets of ignorance and prejudice, unanswered questions of poverty and surplus. It would be easier to shrink back from that frontier, to look to the safe mediocrity of the past, to be lulled by good intentions and high rhetoric–and those who prefer that course should not cast their votes for me, regardless of party. For courage–not complacency–is our need today–leadership–not salesmanship. And the only valid test of leadership is the ability to lead, and lead vigorously. A tired nation, said David Lloyd George, is a Tory nation–and the United States today cannot afford to be either tired or Tory. There may be those who wish to hear more–more promises to this group or that–more harsh rhetoric about the men in the Kremlin–more assurances of a golden future, where taxes are always low and subsidies ever high. But my promises are in the platform you have adopted–our ends will not be won by rhetoric and we can have faith in the future only if we have faith in ourselves. For the harsh facts of the matter are that we stand on this frontier at a turning-point in history. We must prove all over again whether this nation–or any nation so conceived–can long endure–whether our society–with its freedom of choice, its breadth of opportunity, its range of alternatives–can compete with the single-minded advance of the Communist system. Can a nation organized and governed such as ours endure? That is the real question. Have we the nerve and the will? Can we carry through in an age where we will witness not only new breakthroughs in weapons of destruction–but also a race for mastery of the sky and the rain, the ocean and the tides, the far side of space and the inside of men’s minds? Are we up to the task–are we equal to the challenge? Are we willing to match the Russian sacrifice of the present for the future–or must we sacrifice our future in order to enjoy the present? That is the question of the New Frontier. That is the choice our nation must make–a choice that lies not merely between two men or two parties, but between the public interest and private comfort–between national greatness and national decline–between the fresh air of progress and the stale, dank atmosphere of “normalcy”–between determined dedication and creeping mediocrity. As we face the coming challenge, we too, shall wait upon the Lord, and ask that he renew our strength. Then shall we be equal to the test. Then we shall not be weary. And then we shall prevail. 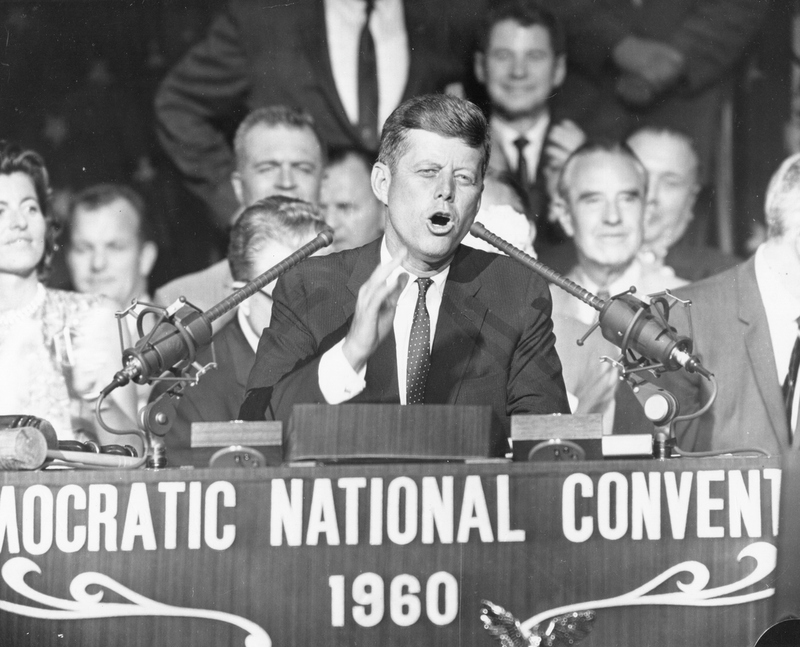 Citation: John F. Kennedy: “Address of Senator John F. Kennedy Accepting the Democratic Party Nomination for the Presidency of the United States – Memorial Coliseum, Los Angeles,” July 15, 1960. Online by Gerhard Peters and John T. Woolley, The American Presidency Project. http://www.presidency.ucsb.edu/ws/?pid=25966. 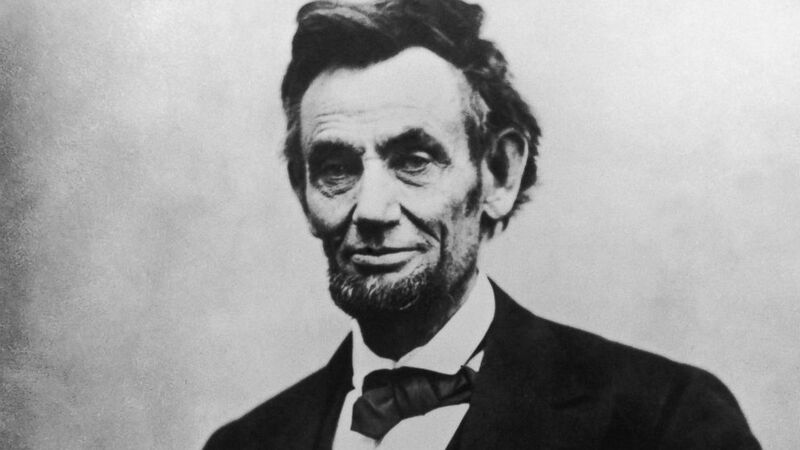 Abraham Lincoln (1809 – 1865), the 16th President of the United States of America. The world will little note, nor long remember what we say here, but it can never forget what they did here. It is for us the living, rather, to be dedicated here to the unfinished work which they who fought here have thus far so nobly advanced. It is rather for us to be here dedicated to the great task remaining before us — that from these honored dead we take increased devotion to that cause for which they gave the last full measure of devotion — that we here highly resolve that these dead shall not have died in vain — that this nation, under God, shall have a new birth of freedom — and that government of the people, by the people, for the people, shall not perish from the earth. LEADING THE WAY is what we expect of our presidents. How successful any individual president has actually BEEN is a matter of debate historically, as is the entire question of what constitutes great leadership in the first place. We laugh with them, we cry with them . . . and with Hollywood’s help from movies like “The American President,” we heap on them our greatest expectations. Presidential leadership is Colorado College professor Thomas Cronin’s specialty, and he is struck by America’s perhaps too-perfect wish list for a president. Ms. Goodman is the Editor of History Musings. She has a BA in History & Art History & a Masters in Library and Information Studies from McGill University, and has done graduate work in history at Concordia University. Ms. Goodman has also contributed the overviews, and chronologies in History of American Presidential Elections, 1789-2008, 4th edition, edited by Gil Troy, Fred L. Israel, and Arthur Meier Schlesinger published by Facts on File, Inc. in late 2011. YOUNG LOVERS: Genevieve Cook with a young Barack Obama. From one of our preeminent journalists and modern historians comes the epic story of Barack Obama and the world that created him. 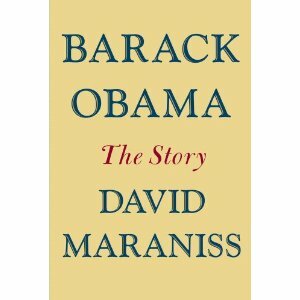 In Barack Obama: The Story, David Maraniss has written a deeply reported generational biography teeming with fresh insights and revealing information, a masterly narrative drawn from hundreds of interviews, including with President Obama in the Oval Office, and a trove of letters, journals, diaries, and other documents. The book unfolds in the small towns of Kansas and the remote villages of western Kenya, following the personal struggles of Obama’s white and black ancestors through the swirl of the twentieth century. It is a roots story on a global scale, a saga of constant movement, frustration and accomplishment, strong women and weak men, hopes lost and deferred, people leaving and being left. Disparate family threads converge in the climactic chapters as Obama reaches adulthood and travels from Honolulu to Los Angeles to New York to Chicago, trying to make sense of his past, establish his own identity, and prepare for his political future. Barack Obama: The Story chronicles as never before the forces that shaped the first black president of the United States and explains why he thinks and acts as he does. Much like the author’s classic study of Bill Clinton, First in His Class, this promises to become a seminal book that will redefine a president. What a startling person Barack is—so strange to voice intimations of my own perceptions—have them heard, responded to so on the sleeve. A sadness, in a way, that we are both so questioning that original bliss is dissipated—but feels really good not to be faltering behind some façade—to not feel that doubt must be silenced and transmuted into distance. How is he so old already, at the age of 22? I have to recognize (despite play of wry and mocking smile on lips) that I find his thereness very threatening…. Distance, distance, distance, and wariness. 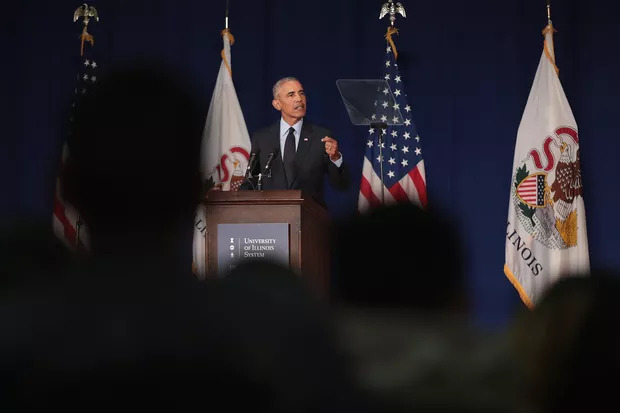 Despite Barack’s having talked of drawing a circle around the tender in him—protecting the ability to feel innocence and springborn—I think he also fights against showing it to others, to me. I really like him more and more—he may worry about posturing and void inside but he is a brimming and integrated character. Today, for the first time, Barack sat on the edge of the bed—dressed—blue jeans and luscious ladies on his chest [a comfy T-shirt depicting buxom women], the end of the front section of the Sunday Times in his hand, looking out the window, and the quality of light reflected from his eyes, windows of the soul, heart, and mind, was so clear, so unmasked, his eyes narrower than he usually holds them looking out the window, usually too aware of me. The sexual warmth is definitely there—but the rest of it has sharp edges and I’m finding it all unsettling and finding myself wanting to withdraw from it all. I have to admit that I am feeling anger at him for some reason, multi-stranded reasons. His warmth can be deceptive. Tho he speaks sweet words and can be open and trusting, there is also that coolness—and I begin to have an inkling of some things about him that could get to me. He had great sexual warmth: Obama’s secret Australian girlfriend tells all in new book: YOU’RE a smart-looking dude fresh out of college with the whole of New York to romance. You’ve just broken up with a chick from California – it was a long-distance thing and she was a serious literary type who made you write to her about T.S. Eliot. But then you meet a hot young primary school teacher in a kitchen at some party. You’re wearing jeans, a T-shirt and cool leather jacket. She has an accent and it turns out she’s the daughter of a diplomat. From Australia. A week later she spends the night with you. Score. She’s comfortable with you lounging around bare-chested in a blue and white sarong – hey, she grew up in Indonesia too – and doesn’t mind that you wear Brut, smoke and eat raisins. For some reason you break up and years later, while you’re making a name for yourself in politics, you decide to write an autobiography. Except, you don’t talk about the raisins, the sarong or the fact she’s an Aussie. You just refer to her as “woman in New York that I loved”. And then you start making stuff up. 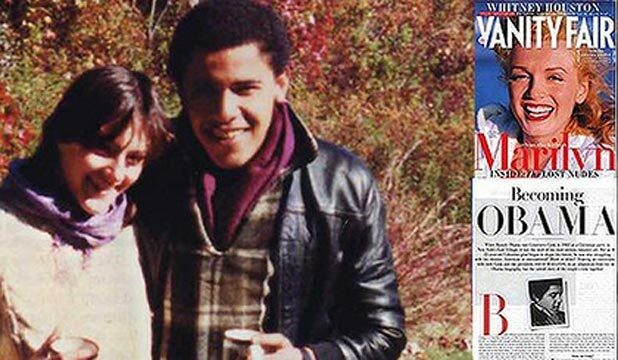 NY flame dishes on Obama’s romantic ways when he was 22: Long before he was courting voters, a young Barack Obama was a 22-year-old college grad in New York who knew how to seduce young women while he struggled with his own racial identity. Excerpts of David Maraniss’ biography, “Barack Obama: The Story,” in Vanity Fair portray the future president as a smooth operator — disarming and engaging with the ladies yet guarded and detached. In a series of diary entries from one of his lovers here in the Big Apple, a never-before-seen side of the now-guarded president is revealed — with descriptions of his “sexual warmth” and his penchant for lounging at home in a sarong. Then-girlfriend Genevieve Cook made it abundantly clear in her diary entries, included with excerpts of the book posted on Vanity Fair’s Web site yesterday, that he spoke softly — and used his charm to win her over. “The sexual warmth is definitely there — but the rest of it has sharp edges, and I’m finding it all unsettling and finding myself wanting to withdraw from it all . . .” Cook, then 25, wrote. But she also sees hints of the future Obama, known for his reserve and guardedness. The dangerous new Obama book: Months before Barack Obama knew Mitt Romney would be his political opponent in 2012, the president knew the identity of his foremost literary challenger: Pulitzer Prize-winning historian David Maraniss, who had been reaching out to Obama’s old friends, classmates and lovers for the past several years. The new book, “Jacqueline Kennedy: Historic Conversations on Life With John F. Kennedy,” includes never before heard audio recordings of interviews conducted with the former first lady in 1964. Ray Suarez discusses the rare and intimate glimpse with presidential historian Michael Beschloss, who edited and annotated the book. RAY SUAREZ: And to a rare and intimate glimpse into history. The new book “Jacqueline Kennedy: Historic Conversations on Life With John F. Kennedy,” includes never-before-heard audio recordings of interviews conducted with the former first lady in 1964, shortly after her husband’s assassination. The tapes were released by daughter Caroline Kennedy in conjunction with the 50th anniversary of the Kennedy administration. Presidential historian and regular NewsHour guest Michael Beschloss edited and annotated the book, and he joins us now. And, Michael, it was a fascinating behind-the-scenes look at life with JFK, life in the White House, and the life and times of the Kennedy administration. What do you know now? What’s the most important thing you know now that you didn’t know before? MICHAEL BESCHLOSS, presidential historian: Well, the biggest thing, if we had talked a year ago, before I read this thing, I would have said Jacqueline Kennedy was a major figure obviously in JFK’s life and Kennedy’s Washington, did a lot for historic preservation, restored the White House, substituted the taste, perhaps, of Dwight Eisenhower, who had people like Fred Waring and the Pennsylvanians play in the White House, for people like Pablo Casals. She goes to Pakistan and there’s an ambassador of the United States she meets there, comes back, writes a letter at her husband’s behest that he sends on to the secretary of state. She had a lot more to do particularly with the personnel of this administration than think I would have thought. RAY SUAREZ: We are taken into the back, private areas of the White House during some of the most tense times in the 1960s, for instance, the Cuban Missile Crisis, when Jacqueline Kennedy tells historian and Kennedy insider Arthur Schlesinger about what those tense days were like for her and the family. RAY SUAREZ: It’s a reminder that this wasn’t kidding around. The world felt like it was right on the precipice. When the first lady says to the president, “I and the children want to die with you,” it was striking. MICHAEL BESCHLOSS: And be out on the lawn, not in a bomb shelter. And the other thing is, it tells something about their marriage. In my experience studying presidents, the president doesn’t have a great marriage with the first lady and there’s a big political crisis, the president usually doesn’t want to spend very much time with his wife, would rather be around cronies or something. John Kennedy’s first instinct when he knows about the Cuban Missile Crisis — it is in the book — he calls up Jackie, who is in Virginia. There’s something funny in his voice, she says. He says, “Please bring the children right now back to the White House,” even though they were taking naps. And the next 13 days, they spent very much together, went strolling out on the lawn together. He had a very — she had a very large part in his life, obviously, but particularly at this moment he looked to her for security. RAY SUAREZ: Two things shone out again and again, how much she admired Kennedy’s personality, his intellect, the way he related to people on the campaign trail and at times how unsure of her own value to him she really was. Take a listen to this. JACQUELINE KENNEDY: I was always a liability to him until we got to the White House. And he never asked me to change or said anything about it. Everyone thought I was a snob from Newport who had bouffant hair and had French clothes and hated politics. RAY SUAREZ: Sure, she was a little unsure campaigning at the beginning, but she was anything but a liability, right? MICHAEL BESCHLOSS: As it turned out. But the Kennedy operatives in 1960 thought that she would be, that people would be put off, that she would seem too effete. Some of them wished that she would be more like Pat Nixon. One once said, we will run Mrs. Kennedy through subliminally, worried about her politically. The biggest surprise to both of them is, she becomes first lady and she’s the most enormous celebrity in the country. Everyone wants to wear their hair like Jackie, the women do, and do their houses and imitate her in other ways. And the poignant thing is that, when they went to Texas at the end of the Kennedy presidency, he had pleaded with her to go with him because she was such a political asset. RAY SUAREZ: The interesting thing about the times is that right behind her is Bess Truman and Mamie Eisenhower. MICHAEL BESCHLOSS: The model political wife of the time. RAY SUAREZ: Waiting out just a little ways down the road are Lady Bird Johnson in her way, but also Betty Ford and Rosalynn Carter. She seems on the edge of those two worlds, a helpmeet, a supporter, but also someone who is educated, quite sophisticated in her own right, and worried very much about how the burdens of the presidency were affecting her husband when she couldn’t help him. JACQUELINE KENNEDY: And he cared so much. He didn’t care about his 100 days, but all those poor men who you would send off with all their hopes high and promises that we would back them. And there they were, shot down like dogs or going to die in jail. And Bobby came over to see me and said, “Please stay very close to Jack. I mean, just be around all afternoon.” If I was going to take children out — in other words, don’t leave anywhere, just to sort of comfort him. RAY SUAREZ: The Bay of Pigs had been a disaster for the very young Kennedy administration, and she was watching it weigh on her husband. MICHAEL BESCHLOSS: Yes, just three months in. And he came in with very grandiose expectations, and, suddenly, three months later, he’s accused of being an incompetent, can’t get this done, the invasion of Cuba. He weeps with her in a bedroom in the weekend house they had in Virginia. And, also, you look at Kennedy’s medical records. His doctors felt that he had gone into a depression. So she felt very much part of her job throughout this presidency was buoying him up when he needed it, and he often did. RAY SUAREZ: Also, she was incredibly young, raising young children, and pregnant several times during that both campaign and early White House phase, but, at the same time, a woman energized by the life that she was living emerges from the texts of the Schlesinger interviews. JACQUELINE KENNEDY: I always thought there was one thing merciful about the White House, which made up for the goldfish bowl and the Secret Service and all that, was that it was kind of — you were hermetically sealed or there was something protective against the outside world, I mean, as far as your private life went. And I decided that was the best thing to do. Everyone should be trying to help Jack in whatever way they could. And that was the way I could do it the best, by making it always a climate of affection and comfort and detente when he came home. RAY SUAREZ: Interesting that she was able to create privacy, when so many other first ladies more keenly feel that intrusion. MICHAEL BESCHLOSS: Yes, that’s right. And she didn’t want to go to the White House. She got very morose when he won, oddly enough, because she thought that life would wreck her family. And she was a woman of hugely strong will. And she basically said: I’m not going to be Mamie Eisenhower, campaigning and going to all these political and other kinds of banquets. My job is to support my husband, to raise my children well. And she also took on for herself this huge project of restoring the White House, which she rightly felt when she encountered it looked like sort of a bad convention hotel which was full of B. Altman reproductions. She had to raise the money for it, huge project, so, all of that done at the same time. This was a woman who was very young, 31 when she became first lady, but of enormous accomplishment and talent. MICHAEL BESCHLOSS: One or two. RAY SUAREZ: Yes, the great and the good of her age. But that just shows that she was paying attention, doesn’t it? MICHAEL BESCHLOSS: She was paying very close attention. And if you looked at the oral history, if there was one, of a first lady that was more traditional, perhaps a Mamie Eisenhower, I doubt if she would have had independent opinions about a secretary of state or an ambassador, and fulfilled that role for her husband. RAY SUAREZ: So what do we see in Jackie, a sort of hybrid? MICHAEL BESCHLOSS: I think a hybrid, and I think you’re right in saying that she was a transitional figure. She knew that she had to function in a period where people didn’t want to see her attending Cabinet meetings, which she had no interest in doing and didn’t. But, at the same time, she knew that that generation of woman could not any longer be content to be a Mamie Eisenhower or one of the earlier first ladies, who basically poured tea. RAY SUAREZ: Michael Beschloss, thanks for joining us. In 1964, Jacqueline Kennedy recorded seven historic interviews about her life with John F. Kennedy. Now, for the first time, they can be heard and read in this deluxe, illustrated book and 8-CD set. Shortly after President John F. Kennedy’s assassination, with a nation deep in mourning and the world looking on in stunned disbelief, Jacqueline Kennedy found the strength to set aside her own personal grief for the sake of posterity and begin the task of documenting and preserving her husband’s legacy. In January of 1964, she and Robert F. Kennedy approved a planned oral-history project that would capture their first-hand accounts of the late President as well as the recollections of those closest to him throughout his extraordinary political career. For the rest of her life, the famously private Jacqueline Kennedy steadfastly refused to discuss her memories of those years, but beginning that March, she fulfilled her obligation to future generations of Americans by sitting down with historian Arthur Schlesinger, Jr., and recording an astonishingly detailed and unvarnished account of her experiences and impressions as the wife and confidante of John F. Kennedy. The tapes of those sessions were then sealed and later deposited in the John F. Kennedy Presidential Library and Museum upon its completion, in accordance with Mrs. Kennedy’s wishes. The resulting eight and a half hours of material comprises a unique and compelling record of a tumultuous era, providing fresh insights on the many significant people and events that shaped JFK’s presidency but also shedding new light on the man behind the momentous decisions. Here are JFK’s unscripted opinions on a host of revealing subjects, including his thoughts and feelings about his brothers Robert and Ted, and his take on world leaders past and present, giving us perhaps the most informed, genuine, and immediate portrait of John Fitzgerald Kennedy we shall ever have. Mrs. Kennedy’s urbane perspective, her candor, and her flashes of wit also give us our clearest glimpse into the active mind of a remarkable First Lady. In conjunction with the fiftieth anniversary of President Kennedy’s Inauguration, Caroline Kennedy and the Kennedy family are now releasing these beautifully restored recordings on CDs with accompanying transcripts. Introduced and annotated by renowned presidential historian Michael Beschloss, these interviews will add an exciting new dimension to our understanding and appreciation of President Kennedy and his time and make the past come alive through the words and voice of an eloquent eyewitness to history. “Jack would say you could never get an opinion out of Lyndon at any cabinet or national security meeting. He’d just say, you know, that he agreed with them – with everyone – or just keep really quiet. “De Gaulle was my hero when I married Jack,” she says. But after meeting the French leader during a May 1961 visit, she says she found him “so full of spite”. “I went up and listened and eavesdropped [to a debate on the issue]. I could hear [Former Secretary of Defence Robert] McNamara saying something and then I thought I must not listen and went away. But from then on it seemed there was no waking or sleeping. “And I just don’t know which day was which. And I never left the house or saw the children and when he came home if it was for sleep or for a nap I would sleep with him. “I just wish he could have seen some more good things come in, that he worked so hard for. The tax bill, the civil rights bill, the economy up so high. “He came back over to the White House to his bedroom and he started to cry, just with me. You know, just for one – just put his head in his hands and sort of wept. “Jack had always wanted to meet Churchill. Well, the poor man was really quite ga-ga then. In 1964, as part of an oral history project on the life and career of John F. Kennedy, my mother sat down with Arthur M. Schlesinger, Jr., to share her memories and insights. Recorded less than four months after the death of her husband, they represent a gift to history and a labor of love on her part. In order to treat them with the appropriate respect, my children and I took very seriously the decision to publish them now, in connection with the fiftieth anniversary of my father’s presidency. The moment seems right—enough time has passed so that they can be appreciated for their unique insight, yet the Kennedy presidency is still within living memory for many who will find her observations illuminating. I hope too that younger generations who are just learning about the 1960s will find these reminiscences a useful introduction to how history is made, and will be inspired to give back to this country that has given us all so much. When I was growing up, my mother spent much of her time meeting behind closed doors with members of my father’s administration, planning his gravesite at Arlington National Cemetery, making sure that the John F. Kennedy Center for the Performing Arts would reflect his commitment to our country’s cultural heritage, executing his wishes for the John F. Kennedy Presidential Library and the Institute of Politics, and making countless decisions on the disposition of my father’s official papers, personal effects, mementos, and memorabilia. She was determined that the Kennedy Library would be a living memorial, a place where students would be inspired to pursue careers in public service, where scholars would have access to the historical record, and where families could learn about the ideals that animated my father’s career and his vision for America. These meetings were somewhat mysterious, but my brother and I had a sense that nothing was more important than the “oral history” that we heard about from time to time. My parents shared a love of history. To them, the past was not an academic concern, but a gathering of the most fascinating people you could ever hope to meet. My father’s interests were political—I still have his books on the Civil War and English parliamentary history, as well as his annotated copy of The Federalist Papers. My mother thought there weren’t enough women in American history to make it as interesting as reading novels and diaries from the courts of Europe. She read War and Peace during the Wisconsin primary, and maintained that reading the Memoirs of the Duc de Saint-Simon about life at Versailles was the most valuable preparation she received for life in the White House. After my father’s death, my mother resolved to do everything she could to make sure that the record of his administration was preserved. She had confidence that his decisions would stand the test of time and wanted future generations to learn what an extraordinary man he was. She helped set in motion one of the most extensive oral history projects ever conducted up to that time, in which more than one thousand people were interviewed about their life and work with John F. Kennedy. Although it was painful for my mother to relive the life since shattered, she knew it was important that she participate. She always told us that she chose to be interviewed by Arthur M. Schlesinger, Jr., the Pulitzer Prize–winning historian, former Harvard professor, and special assistant to President Kennedy, because she was doing this for future generations, and that was why she put the tapes in a vault to be sealed for fifty years. I first read transcripts of these conversations a few weeks after my mother’s death in 1994 when the vault was opened and her lawyer gave me a copy. 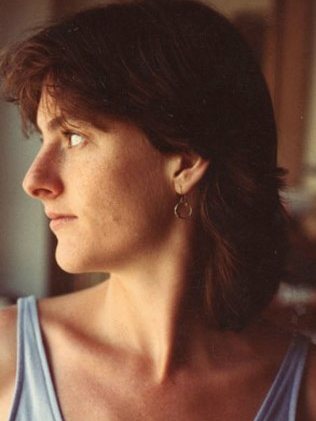 Everything about that time was overwhelming for me as I found myself faced with the same sorts of decisions about her possessions that she had made thirty years earlier. Knowing her wishes for the oral history made it easy—I knew I was reading something that wasn’t supposed to be seen yet—and although I found it fascinating, I put it back in the vault to await its time. A few years ago, my family began thinking about how to commemorate the fiftieth anniversary of my father’s presidency. We decided to concentrate our efforts on projects that would make his legacy accessible worldwide. Working with the staff of the John F. Kennedy Library and Foundation and generous private partners, my husband led the effort to create the largest existing digital archive of a presidency, as well as online curricula, downloadable exhibits, and a Web site—www.jfk50.org—intended to renew my father’s call to service for today’s generation. The publication of these interviews is an important contribution to this commemorative effort, and one with its own story. When the director of the Kennedy Library first approached me with the idea, I asked him to search the archives to confirm my mother’s wishes regarding the date of publication. Surprisingly, given the importance of the material, there was no deed of gift or transfer, nor a letter of intent regarding the date at which the interviews were to be opened. There was only a brief notation by a former government archivist that these interviews were “subject to the same restrictions as the Manchester interviews.” By way of background, there are three significant interviews that my mother gave after my father’s death. The first was to Theodore H. White in Hyannis Port on November 29, 1963, only a few days after my father’s funeral. In that interview, my mother famously told White that she and my father used to listen to the record of the Broadway musical Camelot in the evening before they went to bed, and looking back, “that one brief shining moment” reminded her of his presidency. White’s article was published a week later in Life magazine, but the notes of his interview were sealed until one year after my mother’s death. They are now open to researchers at the Kennedy Library in Boston. The second set of conversations was with William Manchester, who was writing a book called The Death of a President. During the sessions my mother said more about my father’s assassination than she had intended. Subsequently, she became so upset at the thought of her personal memories becoming public that she sued the author and publisher to keep them out of the book. A settlement was reached, and although much of the content made its way into the public sphere, the notes of the interviews were sealed for 100 years—that is, until 2067. By far the most important were these oral history conversations with Arthur Schlesinger in which my mother willingly recalled the span of her married life, and shared her insights into my father’s private and public political personality. The archivist’s notation regarding the date of publication was not consistent with my memory, nor did it seem to reflect my mother’s wishes. I checked with former members of her staff in the White House and afterward, as well as other friends and attorneys. No one had a recollection that differed from mine, and they were enthusiastic about the idea of publication. So I was faced with a dilemma that I have confronted numerous times in connection with my mother’s personal papers and correspondence. On one hand, she was a famously private person who gave no on-the-record interviews (other than these three) about life in the White House, and requested in her will that my brother and I make every effort to prevent publication of her personal papers, letters, and writings. However, she also saved every scrap of paper that came her way—every birthday card or telegram, every letter from her parents, every date book and diary, every draft letter or memo she ever wrote. She knew that living in the White House was an enormous privilege and she was proud of the part she had played. Early on, when she discovered that one of her secretaries was throwing out notes and internal correspondence that chronicled both daily life and the official workings of the mansion, she wrote a steaming rebuke—directing everyone on her staff to save even the smallest scribbles. Her deep immersion in memoirs of the past informed her belief that she had an obligation to preserve everything that happened during her time in the White House. In the years since her death, I have asked myself the question, When does someone no longer belong to you, but belong to history? Few people have been written about more than my mother, and I grew up feeling I needed to protect her—just as she had protected us. So at first I thought it best to leave these interviews sealed for another fifty years, rather than to expose her memory to one more round of gossip and speculation. But I also understand that the continuing interest in her life is a tribute to the immense admiration and goodwill she still commands, and I believe that open access to government is an important American value. Over the years, I have received multiple requests to publish my mother’s memos and correspondence. At times, it has been difficult to balance her wish for privacy against her public role and pay proper respect to both. Although I agonize over each request, I know that my mother trusted my judgment and felt that I understood her outlook on life. As the years pass, it has become less painful to share her with the world, and in fact, it is a privilege. As her child, it has sometimes been hard for me to reconcile that most people can identify my mother instantly, but they really don’t know her at all. They may have a sense of her style and her dignified persona, but they don’t always appreciate her intellectual curiosity, her sense of the ridiculous, her sense of adventure, or her unerring sense of what was right. Over time, I have tried to draw the line between her public and private life much as I think she did—I try to accommodate requests that pertain to my father’s career, life in the White House, historic events and historic preservation, while denying permission for publication of her writings as a private citizen—whether as a young woman or a working editor. These conversations are not in the same category as her personal writings, because they were recorded with the intention that they would be made accessible one day. So it was not a question of whether to publish but a question of when, and the decision was up to me. My experience with other requests informed my decision that the time was right. In reaching this conclusion, I found it helpful to remember the context in which the interviews were conducted, and the timing of when they occurred. The goal was to create a record of my father’s life and career from the memories of those who knew and worked with him. Accordingly, the questions follow a loosely chronological sequence beginning with my father’s early political battles in Massachusetts, his 1956 fight for the vice-presidential nomination, the 1960 campaign, the transition to the presidency, the Inauguration, the Bay of Pigs, the Cuban Missile Crisis, official and family life in the White House, and plans for the 1964 campaign and a second term. Along the way, there are discussions that reveal much about the central characters and events of the time in both domestic politics and international affairs. The decision was complicated by my conviction that if my mother had reviewed the transcripts, I have no doubt she would have made revisions. She was a young widow in the extreme stages of grief. The interviews were conducted only four months after she had lost her husband, her home, and her sense of purpose. She had two young children to raise alone. It isn’t surprising that there are some statements she would later have considered too personal, and others too harsh. There are things I am sure she would have added, and her views certainly evolved over time. I struggled with the question of whether to delete remarks that might be taken out of context. I was aware that my intentions might be misinterpreted, even if the edited version was a more “accurate” reflection of how she really felt. After much deliberation, I decided to maintain the integrity of the audio interviews as a primary source while editing the text slightly for readability, not content, as has been done with other presidential transcripts and oral history interviews. My reservations were mitigated by the remarkable immediacy and the informality of the conversations. Knowing my mother so well, I can hear her voice in my mind when I read her words on a page. I can tell when she is emotional, when she is enjoying herself, or is getting annoyed—though she is unfailingly polite. Even though most of her answers are about my father, by listening to the audio, people will learn a great deal about the person that she was. Much is revealed by her tone, and by her pauses as well as by her statements. I trust that readers and listeners will place her views in context to build an accurate and composite portrait of a person and a moment in time, and that her devotion to her husband will come through to others as it does to me. In addition to their passion for history, my parents shared a conviction that American civilization had come of age. Today this seems an unremarkable proposition, but at the time the United States was just emerging as a global power, and people still looked to Europe for direction and leadership. My parents believed America should lead with her ideals, not just with economic or military power, and they wanted to share our artistic and cultural achievements with the world. My mother played a critical role in the development of what is now called “soft diplomacy.” She traveled with my father and on her own, often speaking the language of the countries she visited. She was an international sensation. She also understood that the White House itself was a powerful symbol of our democracy, and wanted to make sure it projected the best of America to students and families who visited, as well as to foreign heads of state who were entertained there. She worked hard—not to “redecorate,” a word she hated—but to “restore” the White House so that the legacy of John Adams, Thomas Jefferson, James Madison, and Abraham Lincoln would be visible. She recast the White House Library to showcase classic works of American history and literature. She established the Fine Arts Committee and White House Historical Association to assemble a permanent collection of American paintings and decorative arts that would become one of the nation’s finest. She made the White House the world’s greatest stage and invited the world’s foremost artists to perform there. She welcomed young musicians, emerging African-American opera singers, jazz musicians, and modern dancers—all to awaken and expand appreciation for American arts and culture. She felt strongly that as our capital city, Washington, D.C., should reflect America’s newly prominent place in the world. She fought to preserve Lafayette Square, and launched the effort to rehabilitate Pennsylvania Avenue—an effort that has been sustained ever since. My mother understood that the past was a source of pride for people around the world, just as it is in America, and convinced my father that the United States could build goodwill among countries like Egypt, with which we had political differences, by assisting in their historic preservation efforts. Her persistence resulted in a generous U.S. contribution to the UNESCO rescue of the temples of Abu Simbel, which were threatened by the construction of the Aswan Dam, and favorably impressed the Nasser regime. In another example of cultural diplomacy, my mother was responsible for the Mona Lisa’s visit to the United States, the only time the painting has ever left the Louvre. Most important, she believed her responsibility was to help my father in every way she could. Although she became a diplomatic and even a political asset, she never thought she deserved the title “First Lady,” which she disliked anyway, claiming it sounded like the name of a racehorse. But she was deeply patriotic and proud of what she accomplished, and my father was proud of her too. Their time in the White House was the happiest of her life. Given the important role Jacqueline Kennedy played in the presidency of John F. Kennedy and its aftermath, it seemed a disservice to let her perspective remain absent from the public and scholarly debate that would accompany the fiftieth anniversary of the Kennedy administration. Fifty years seems a sufficient time for passions to have cooled, yet recent enough that the world described still has much to teach us. The sense of time passing was made more acute by the loss of my uncle Teddy and my aunt Eunice in 2009, by Ted Sorensen in 2010, and my uncle Sarge in January 2011. But, before making the final decision, I asked my children to read the transcripts and tell me what they thought. Their reactions were not so different from my own. They found the conversations dated in many ways—but fascinating in many more. They loved the stories about their grandfather, and how insightful yet irreverent their grandmother was. They were puzzled by some of Arthur Schlesinger’s questions—personal rivalries he pursued and particular issues that have not stood the test of time. They wished that he had asked more questions about her. But they came away with the same conclusions that I had reached—there was no significant reason to put off publication and no one speaks better for my mother than she does herself.